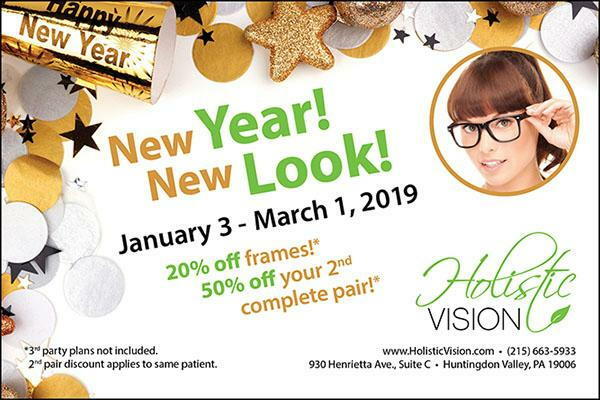 Looking for new glasses for the new year? Please visit Holistic Vision for our "New Year! New Look!" Sale, January 3 - March 1, 2019.